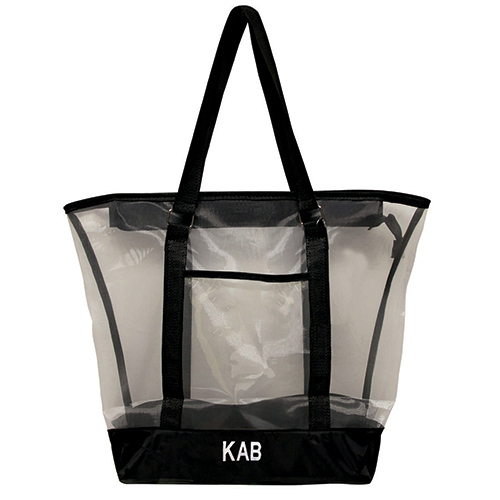 Any woman on the go will love the addition of our personalized mesh tote to their set of summer accessories. 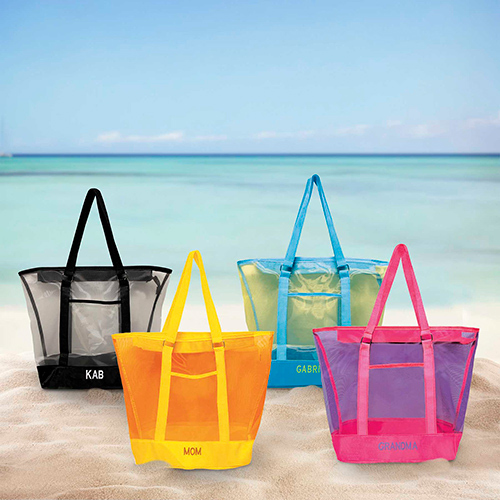 Embroidered with Any name, title, or 3 initials in your choice of embroidery thread, this tote can go with you any where you choose to go this summer. 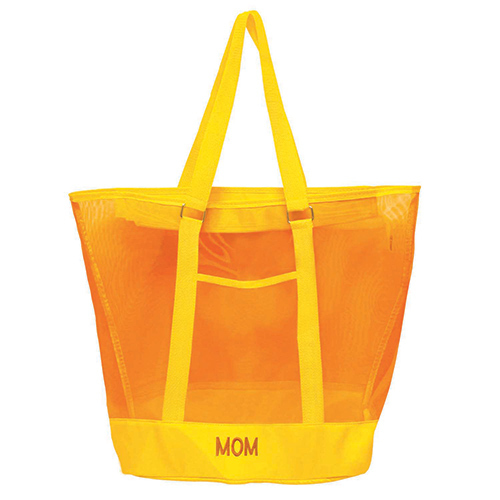 Plastic insert in bottom for strong base. 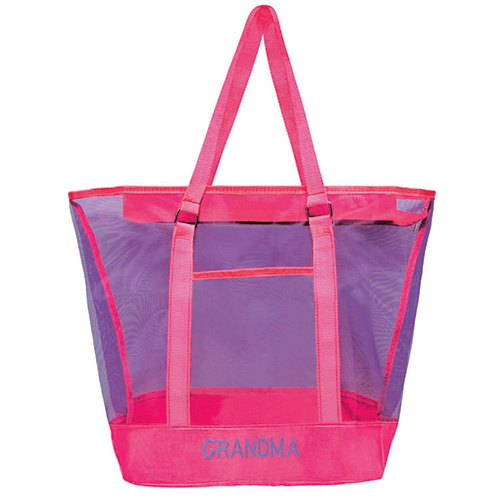 Spacious carryall for a weekend escape or every day task! These were shipped directly to my four great granddaughters. Their mom said they are very nice and perfect for them. 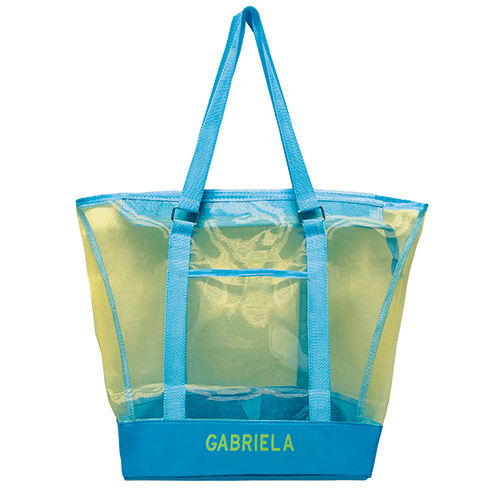 Very good value plus personalized too.